Park Business Centre Office Suites give you the premises and facilities you need to run a business � everything except the headaches. Whether you are an established company relocating to and participating in the growth of the Heartlands business community or a new business needing well appointed and fully serviced offices with no capital outlay, Park Business Centre space can be tailored to your requirements. 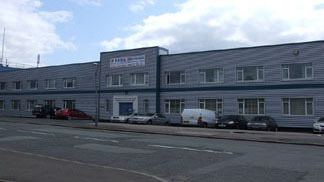 The building is part of the Hastingwood Industrial Park all of which has recently been refurbished to a high standard. Location. Park Business Centre is ideally located a mile from Junction 5 on the M6 (only 4 miles from the centre of Birmingham) and the NEC and Birmingham Airport are nearby. Fort Retail, Star City, Fort Dunlop, and the Jaguar Works are all within a few miles of PBC. Heartlands itself has experienced a welcome revival and provides a wealth of local opportunity and support for businesses of all types. Offices. All offices are furnished, carpeted, decorated and are cleaned daily. All heating, lighting and power charges are included in the basic rental fee. There are good parking facilities. On site management supports the Business Centre and provides optional facilities to Tenants and there is also a building maintenance team to give prompt attention to any requirements. The PBC Offices are designed to make it easy for you to move in, easy to stay, and easy to expand. Being a Landlord is much easier when there are enough premises to look after � and that is what we do. Running your business is much easier for you when you do not have to be a small Landlord in your spare time. The Management Office staff provide all back up services � you get large company facilities at low cost and no overhead. This is the idea behind Serviced Offices � and the costs are surprisingly competitive. Telephone. A modern Telephone Switch provides everything from single phone lines, fax, and modem services to ISDN capability. Training Room, Meeting Room and Conference Facilities may be hired by the hour, half day or day (subject to availability). A Reservation Service is provided. Catering can be arranged if required, either from the HIP restaurant/caf� on site or by external caterers. Docklands Business Centre. PBC shares reciprocal facilities with the DBC in London�s Docklands by Canary Wharf. Rent DBC facilities at PBC rates. Kitchens. Park Business Centre has four well appointed kitchens for use by Tenants. These may also be used as informal meeting rooms (subject to availability). Structured Cabling. All Suites have Suspended Ceilings with Cat 2 Lighting. There are 2 structured cabling sockets pre-wired for approximately every 100 sf of floor space with additional wiring capability in the ceiling spaces. Amenity. All Suites have opening windows and natural light. Air Conditioning is an optional extra for leasehold tenants. Suites are carpeted and freshly decorated. Fire Alarm System. PBC is fitted with a Multi Zone Fire Alarm with automatic detection. Asbestos Survey. A detailed survey carried out in accordance with the new legislation has shown that there are no high risk ACM�s on site. As the Occupier of industrial or commercial premises, you are legally responsible for a number of Health & Safety requirements including having an Asbestos Survey and Risk Assessment carried out. We can do this for you. Support. On site maintenance, telecoms and IT assistance, a free Rates Advisory service, local knowledge - PBC will help you if we can. Storage. Hastingwood operates the HastStor storage business on this site for pallets, general storage and document archiving. HastStor benefits from all the Site Security and Management provisions, and in addition is subsidised by the temporary use of empty rental space from time to time. For more details click here.